The building company said 2014 profits would be lower than expected, due to a £30m 'shortfall' in UK construction. 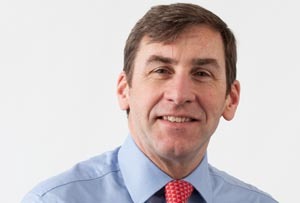 Thirteen months is too long these days to enact a corporate turnaround: Andrew McNaughton had only been chief exec of Balfour Beatty since last March and has now ‘stepped down’ with ‘immediate effect’. The board clearly decided something had to give, as it also issued a profit warning today, saying pre-tax profits this year would be £145-£160m, ‘significantly lower’ than it forecast in March. McNaughton being shown the door was probably not what investors were expecting: shares fell as much as 21% this morning, and were still down by more than 18% to 233p at midday. Unfortunate, given share price had staged a recovery from just 208p last May - a depth that hadn’t even been plumbed during the worst months of the financial crisis. The company blamed the UK construction industry, which it expects will cause it a £30m ‘shortfall’, for the profit warning, saying ‘operational issues’ (i.e. screw-ups) were taking longer to sort out than expected. In 2013, it made a £60m loss in the UK, pulling underlying pre-tax profits down 32% to £187m, despite revenue rising 2% to £10.1bn. ‘We got some things wrong. We were very optimistic in a number of projects we were bidding on [at the end of 2012],’ McNaughton admitted at the time. The irony for the now ex-boss, who spent 17 years at Balfour Beatty, is that he wasn’t at the helm when the company got so carried away. But, as Spiderman's uncle once said, 'with great power comes great responsibility'.